To become an event advertiser please fill out our Online Form, Advertiser Commitment Form (PDF) or call 662-324-5700. Acceptable formats are TIF, JPEG, EPS and PDF. If you are providing composed ads, please be certain to include all fonts and linked images. It is best to create paths for text – or have them embedded in the file to avoid problems or errors with cross platforms. Please be certain to include your business logo in both black and white and color formats. These will be used for promotional purposes and will need to be vector files done in either Adobe Illustrator or Adobe Photoshop. Each ad should include a visual proof of final art – along with a menu of the files included on disk. For business card ads, you may submit a clean copy of your business card, an ad composed to specs, or you may submit text or a message that we will use to compose your ad. When submitting ads please provide a contact name, phone number, and email address of a person that can answer any technical questions pertaining to the ad itself. If you have any questions, please feel free to contact us at 662-324-5700 or email us. If you would like purchase an ad in our 2019 Official Program, please fill out the Commitment Form below OR download our printable (PDF) form . I prefer to simply make a tax deductible donation to the Foundation. 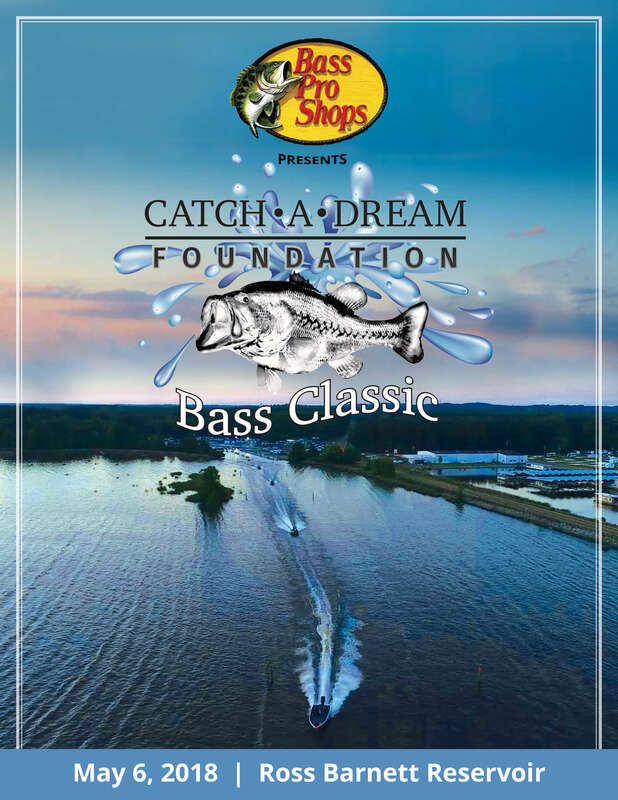 Please type in the amount of a tax deductible donation to Catch-A-Dream Foundation in the box shown above. Accepted file types: tif, jpg, eps, pdf. Please review Ad specifications before submitting artwork. • All ads should be 300 dpi CMYK files created in Adobe Photoshop or Adobe Illustrator. • Acceptable formats are TIF, JPEG, EPS and PDF. • If you are providing composed ads, please be certain to include all fonts and linked images. It is best to create paths for text – or have them embedded in the file to avoid problems or errors with cross platforms. • Please be certain to include your business logo in both black and white and color formats. These will be used for promotional purposes and will need to be vector files done in either Adobe Illustrator or Adobe Photoshop. For business card ads, you may submit a clean copy of your business card, an ad composed to specs, or you may submit text or a message that we will use to compose your ad. I would like to pay online. By clicking "Submit Entry", you will be redirected to the PayPal™ website. You do not have to have a PayPal™ Account to make your purchase. To pay by credit card, Look for “Don’t have a PayPal account?” on the lower left of PayPal™ screen. I agree to be invoiced for this amount.